In this episode #81 (S06E07), we introduce our new co-host, Alan Taylor! 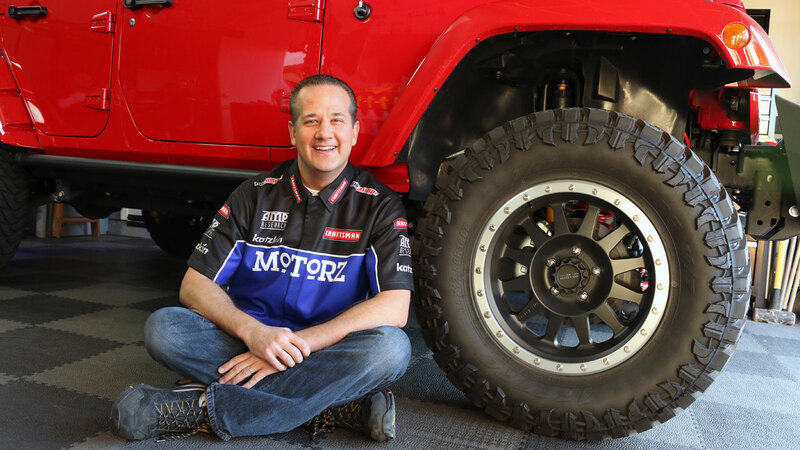 In addition to learning how to install a 3.5″ MetalCloak suspension lift with Method Race Wheels and Atturo Tires on a 2014 Jeep Wrangler, you’ll learn more about how Alan got started with his car obsession. Alan also sits down at a recent Barrett-Jackson event to interview CEO Craig Jackson! In Letterz, Chris answers viewer mail, and in Partz, Chris talks about Craftsman’s new C3 cordless impact wrench, Flex-a-Lite’s aluminum radiator and electric fan kit (with their transmission cooler) for a Jeep Cherokee XJ, and how to protect the front end of your ride with the Covercraft LeBra! Double copper washers when installing the brake line or am i missing something?looks like the old one was still stuck on the back of the calliper. Hockey pucks for bump stops? the lift is not high enough. LeBra is still in business? I thought they went out of business in the 90’s. I guess I just haven’t seen a front end cover like that since the 90’s LOL. Paint Protection Film (PPF) has made LeBra obsolete. Beautiful dog you got there man. Thanks for the detailed video. I have a 2014 JKUR and will be installing that lift in a couple months in my garage. I was on the fence about doing it myself but you have convinced me I can handle it. Your timing couldn’t have been better !!!!! why don’t you work on FJ!? when iw as 16 17… i was riding around in an 80 dollar huffy.